Dorner is showcasing several conveyor systems that are perfect for the baking and food industries, including its AquaPruf VBT (Vertical Belt Technology), in booth No. 3937 at the International Baking Industry Exposition, Oct. 8-11, at the Las Vegas Convention Cente. The AquaPruf VBT Conveyor, a completely sanitary platform with an open-frame design for quick cleaning and more effective product changeover, is the ideal material handling solution for moving bulk products in straight-up 90° sanitary applications. 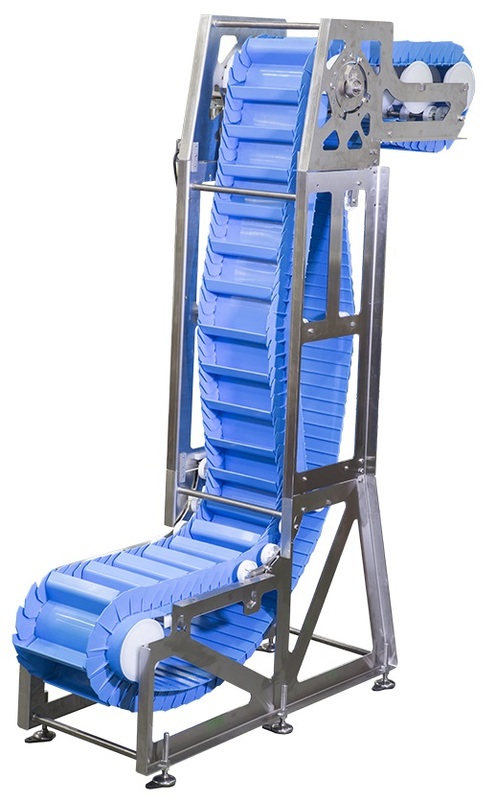 Featuring a proprietary belt design, the AquaPruf VBT Conveyor comes with a staggered sidewall belt that improves product release and allows for fast and effective sanitation. The conveyor is perfect for elevating bulk products such as fruits/grains/nuts, vegetables and small packages in applications including elevation for walk-thru, hopper feeding, weigh scale feeding, general bulk handling, and sanitary environments. Other conveyor systems on display in booth No. 3937 include Dorner’s 7600 Ultimate Series, which is designed for fast and effective sanitation in the most demanding environments, and represent the highest level of sanitary standards in a conveyor. Attendees can also see the AquaGard 7100 Series, a stainless steel flexible chain conveyor that’s looped together with the SmartPace Dynamic Pacing Conveyor, an innovative platform that takes randomly spaced products and paces them into even spacing without the use of diverts or plows. Finally, the SmartFlex Spiral Conveyor demonstrates its ability to move product in tight turns in either ascending or descending applications. To see how these conveyor platforms can help your baking and food material handling applications, make plans to visit Dorner in booth 3937 at IBIE 2016.